Your business needs social media, But who can spend the hours each day writing new content and posting to multiple networks? Our brilliant writers will publish new content for your social accounts every day. To make sure you can review everything its all done 5 days in advance too! 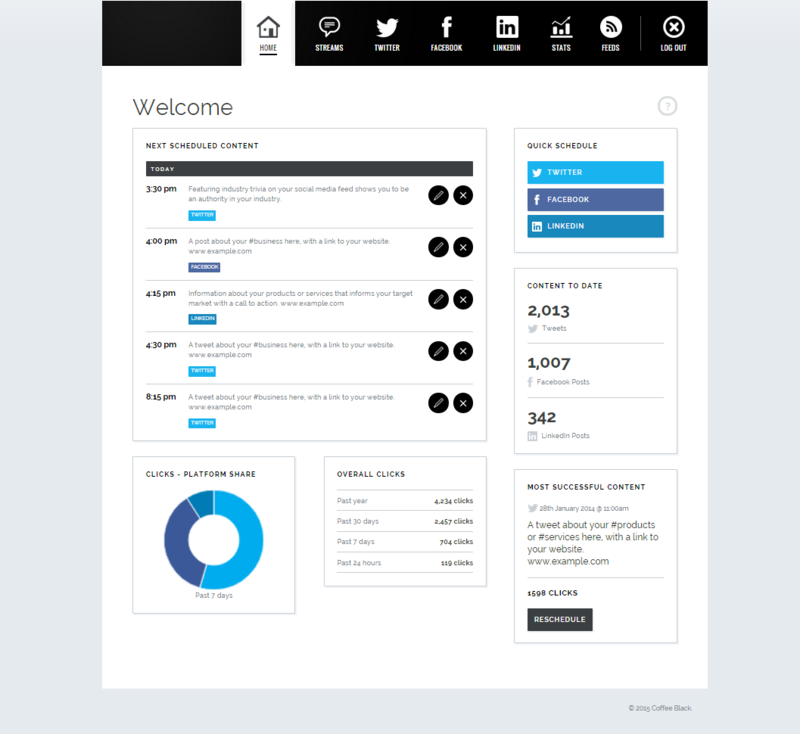 Your homepage shows an overview of all your social media activity in one place, making it easy for you to review today’s scheduled social media posts without drilling down. 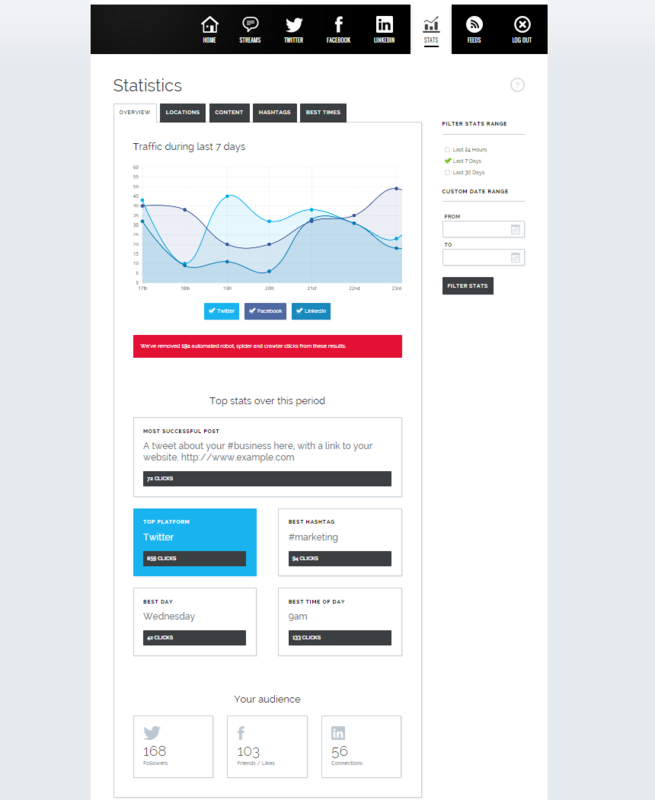 We track links, clicks and geographic location from your social media campaign and your control panel presents this data in a set of responsive, interactive graphs and charts. 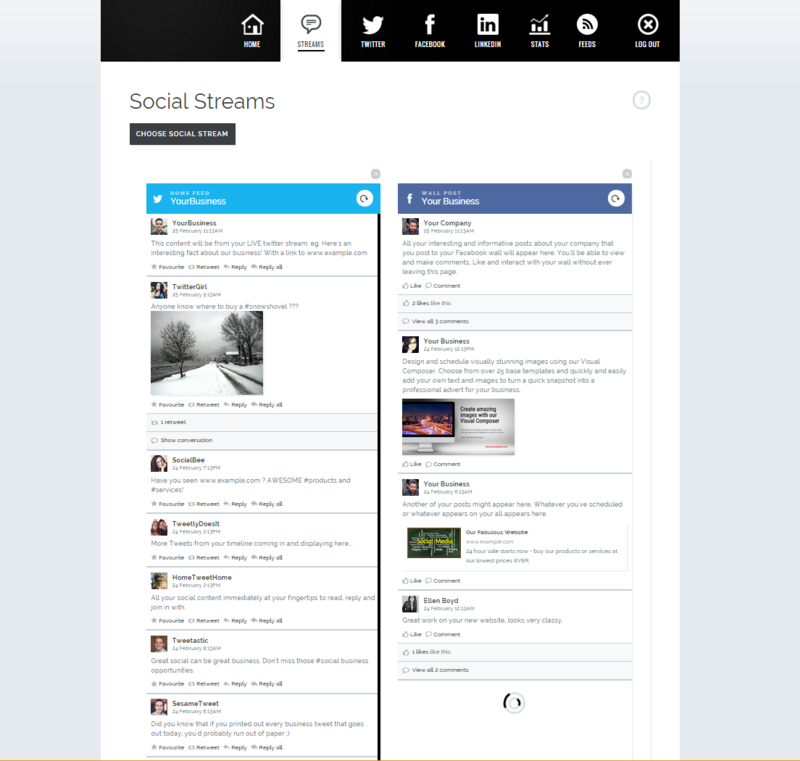 Your social media streams can be viewed in one place, allowing you to see your social media accounts without having them in two different tabs. You can also use this area to communicate and interact with your current and potential customers. You can set up your chosen RSS news feeds in the control panel and a single click posts the news at a schedule of their choice. 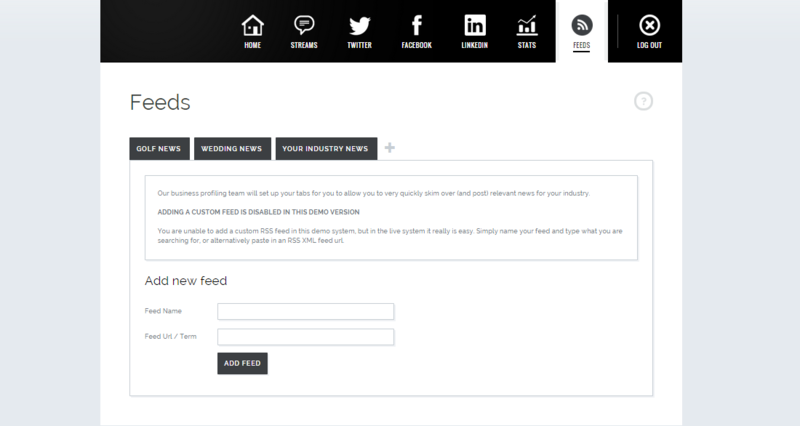 If you want us to take care of all of your social media content and/or set up your social media accounts feel free to speak to one of our team with the contact form on the right, directly with the details below or on our spider.social website!